“Prevention is better than cure” is an old adage, and still rings true. Men often engage in benign neglect of our own health. There are many areas of “preventative maintenance” which your doctor can undertake. Make a specific appointment for a comprehensive health check. Many men do this on their birthday. The conditions below may have no symptoms at early stages. 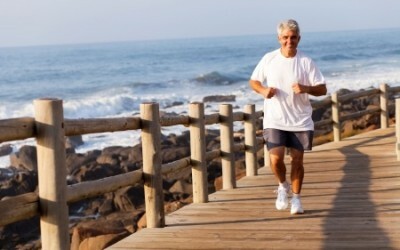 Cardiovascular health is key to preventing heart attacks and stroke. Smoking, blood pressure, cholesterol, diabetes testing, weight and exercise are areas which we can investigate and intervene if necessary. Atrial fibrillation is a common treatable cause of stroke, visit the Irish Heart Foundation for more information. Cancer diagnosis and prevention are important – talk to your GP about bowel cancer screening, lung cancer, Prostate and PSA testing. Skin cancer including malignant melanoma is common. Testicular cancer is the commonest cancer in young men aged 20-35y. Other conditions: Haemochromatosis (excess iron) is much more common in men. Diabetes is common and called “the silent assassin.” These have no symptoms in the early stages. Thankfully we can diagnose them before complications ensue. Abdominal aortic aneurysms: (AAA) affect about 1 in 25 men aged 65y and older. They often have no symptoms. Talk to your GP about AAA. Visit the NHS site for more information.